Manchester United’s Paul Pogba has addressed speculation over his relationship with Jose Mourinho. 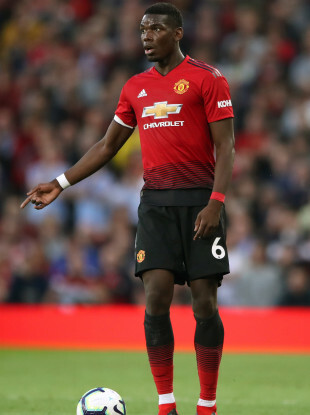 Paul Pogba in possession for Manchester United during Friday's win over Leicester City. However, Pogba — who cost United a then-world record €105 million in 2016 to prise him away from Juventus — is known to be upset by Mourinho’s remarks about his performances at the World Cup compared to those for his club last season. Mourinho implied that Pogba — whose agent Mini Raiola has reportedly been talking with Barcelona — had flourished under Didier Deschamps at the World Cup because he could not be distracted by his entourage or by his commercial obligations. Email “'There are things that I cannot say, otherwise I will get fined'”. Feedback on “'There are things that I cannot say, otherwise I will get fined'”.